Herbalife is a great Los Angeles based and international company. We truly enjoyed photographing their event held at the corporate headquarters in Carson. They hired a magician as part of the entertainment during the cocktail hour. 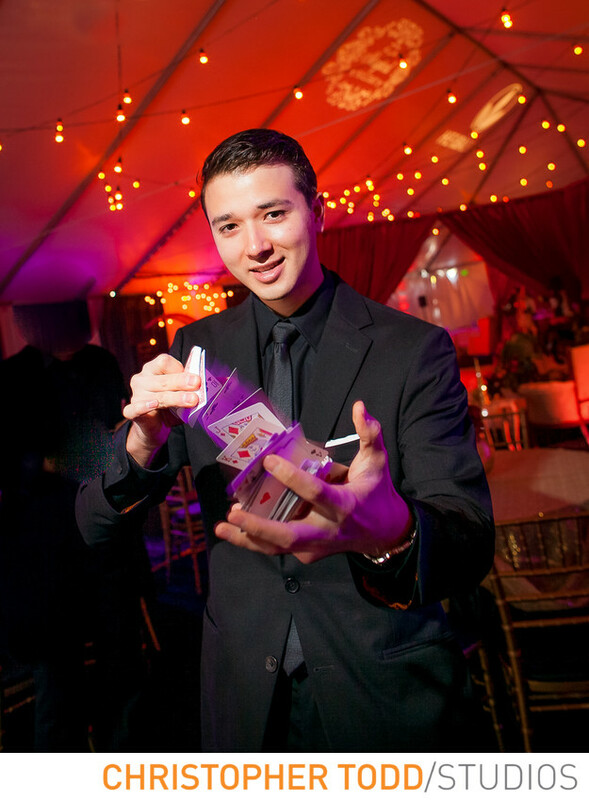 I took this photo of the young enteratiner performing one of his magic tricks with the a deck of cards. Wow. How does he do that? Location: 18431 S Wilmington Ave Carson, California 90746. 1/30; f/4.0; ISO 250; 24.0 mm.